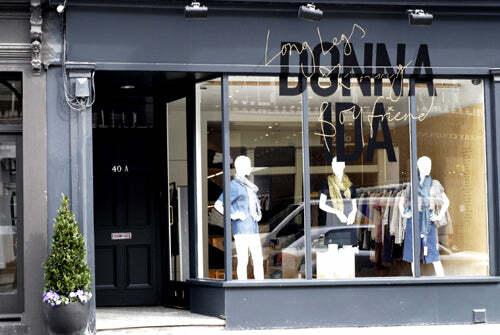 Donna Ida Belgravia has teamed up to get ‘denim fit’ for the party season with the help of personal trainer Victoria Bond Elliott. Victoria is a local resident of Belgravia and has charm, wit and style not to mention a body to die for. She is a true Donna Ida girl with flowing blond hair and a beautiful smile but will whip you into shape in no time! To make the most of our exciting promotion throughout half term pop into the Elizabeth Street, Belgravia store. The rules of the game are; if you purchase two pairs of jeans in our Belgravia store you will receive a complimentary 30 minute session with Victoria, when you spend over £800 you will receive an hour session. If you sign up to a programme of 6 sessions with Victoria and you achieve your goal weight or size we will as a congratulatory present gift you with a £50 voucher to spend on any full price item in store! This promotion can be redeemed in store at Belgravia only and runs from Sunday 20 October until Saturday 2November 2013.